There are different types of the legal structures that can be used to undertake the business activities. There are different legal provisions for creating the business entities in various countries. Two of the prominent business forms in the various countries are limited liability company (LLC) and limited liability partnership (LLP). The LLC and LLP combine a number of the features of a company as well as a general partnership; and, thus, they give an impression of being the same. The country jurisdiction, under which an LLC or LLP is formed, makes a great difference and plays a major role in the characterizing or distinguishing features of these two business structures or entities. What is Limited Liability Company (LLC)? A limited liability company (LLC) refers to a business form. The LLC members have a limited liability. It has a separate legal identity distinct from its owners. It is also known by the different names or nomenclatures in the different countries such as private company, private limited company, etc. It may have various benefits like pass-through tax benefits. LLCs are formed to undertake the commercial activities. The internal management and governance structure in the LLC is regulated by the specific laws or statutes applicable to the LLC in a particular country. The laws related to an LLC vary from one country to another. In case of the USA, an LLC is more flexible in form or structure as compared to a company or a corporation. LLC is suitable to the single owner businesses. The LLC owners are typically called the members. The management of an LLC is usually carried out by the managerial or dedicated staff, and looked after by a Board of Directors. The LLC members have a limited personal liability towards the obligations of the LLC such as debt. A limited liability partnership (LLP) is also a form or structure for business organization. The LLP owners are typically known as partners. This form of business organization is suitable to the small firms. It has a close-knit structure and the owners of the LLP are typically known to one another personally. The internal management and governance structure in the LLP is regulated by a specific partnership agreement. The management and business affairs of an LLP are usually carried out by the partners with the help of some managerial or non-managerial staff. The partners in an LLP have more personal liability and obligations as compared to the LLC form of organization or business structure. 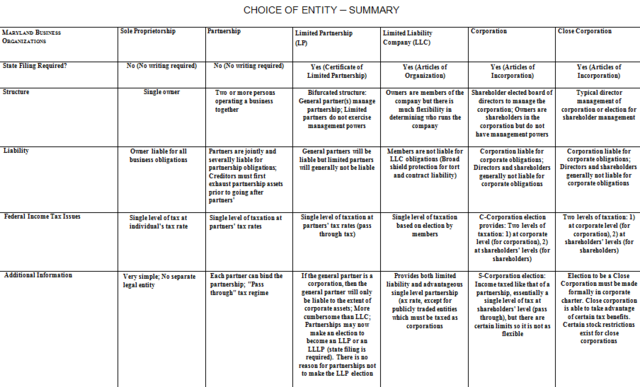 LLC and LLP both are organizational forms. They are artificial legal persons and distinct from the owners. LLC and LLP both come into the existence only after some legal work is done and legal provisions are complied with. Each of them can hold properties and physical assets in its own name. LLC and LLP may exist after the owners’ demise. LLC or LLP can sue others in its own name, or may be sued by another person, the government, or other entities. Meaning: An LLC is a type of a business vehicle or organizational structure that combines the elements of a partnership as well as a company; while an LLP is a special type of partnership, in which the liability of an individual partner is usually limited to the amount of the capital that has been contributed by him or her. Suitability: An LLC is suitable legal structure or organizational form for the small to medium businesses; while an LLP is suitable organizational form for the small businesses. Owners: LLC owners are known as members; whereas the owners of an LLP are known as partners. Minimum Number of the Owners: There may be only one single person as the owner of an LLC; while there needs to be at least two persons as the partners to form the LLP. Legal Status: An LLC is an entity that is more or less distinct from its owners; whereas an LLP is considered to be less distinct from owners, that is, the partners. Management: The management of an LLC is usually carried out by the managerial or dedicated staff, and looked after by a Board of Directors; while the management and business affairs of an LLP are usually carried out by the partners. Liability: An individual member of an LLC would not typically be personally liable for an act or the debt of an LLC, and consequently, any personal property of a member would not be used by a creditor to recover his or her dues; whereas an individual partner in an LLP may be held liable in some rare cases like frauds, particularly if the partner is actively managing. 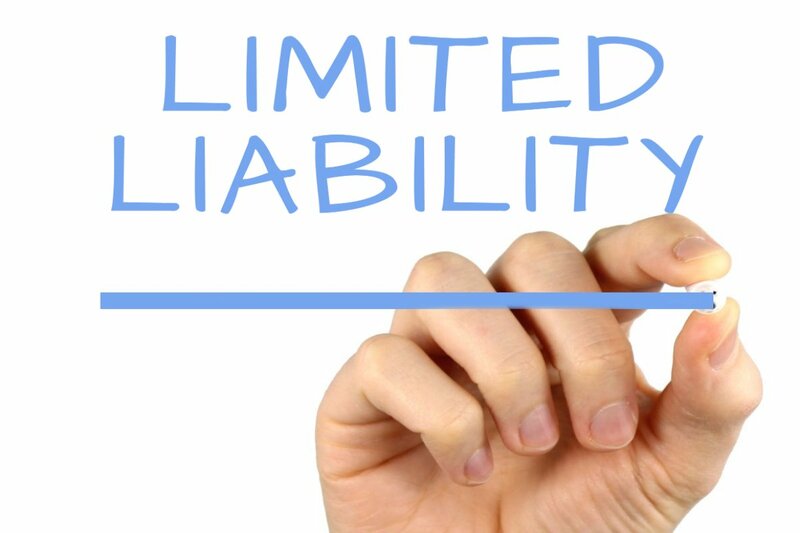 Limits of Liability: The liability of a member of an LLC is limited to the total amount of money that is unpaid for the shares that the individual member holds in the LLC; whereas the liability of an individual partner in an LLP is limited to the specific proportion of his or her contribution. Charter documents: The charter documents for an LLC are the Memorandum and the Articles of Association that contain the details related to the particular LLC; while in case of the LLP, the charter document is the Limited Liability Partnership Agreement that contains the details related to the particular LLP. Name: An LLC has a name that has “LLC” suffixed or added in the entity’s name at the end; while an LLP has a name that has “LLP” suffixed or added in the entity’s name at the end. Accounts: An LLC needs to maintain comparatively more elaborate accounts; whereas an LLP may choose to maintain less elaborate accounts. Basis of Accounts: An LLC needs to maintain the books of accounts on the accrual basis; while an LLP may maintain the books of accounts on the cash basis or the accrual basis. Transparency: An LLC is comparatively more transparent; while an LLP is comparatively less transparent due to easier regulatory requirements. Public Trust: An LLC has a higher public trust due to more transparency and disclosures; while an LLP has a lower public trust. LLC and LLP are two important organizational forms or legal structures. They are similar in some respects. But LLC and LLP have a number of important differences in terms of ownership, legal status, liability, management, accounts, etc. LLC and LLP have become quite popular in the recent times because they provide a number of financial and non-financial benefits to the owners. They offer flexibility in the operations and structure. They are especially popular or favorite among the professionals, and the founders of the start-up firms. The entrepreneurs or the founders may choose one of these two organizational forms or legal structures depending on their specific and unique requirements. Surendra Singh. "Difference between Limited Liability Company (LLC) and Limited Liability Partnership (LLP)." DifferenceBetween.net. April 16, 2018 < http://www.differencebetween.net/business/difference-between-limited-liability-company-llc-and-limited-liability-partnership-llp/ >. Beattie, Andrew. "Limited Liability Partnership (LLP): The Basics." investopedia.com. Investopedia, 29 Jan. 2018. Web. 1 Apr. 2018. .
"Limited Liability Company (LLC)." irs.gov. IRS, n.d. Web. 1 Apr. 2018. .
"Limited Liability Company - LLC". investopedia.com. Investopedia, n.d. Web. 2 Apr. 2018. .